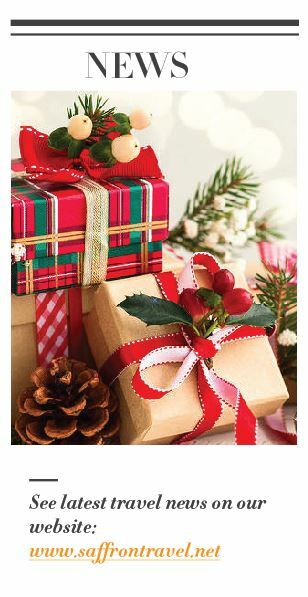 At this special time of year, on behalf of everyone at Saffron Travel, I would like to extend our sincerest gratitude to all our partners, clients and friends. It has been 4 years since Saffron Travel was established. Thanks to your amazing support and the trust you have placed in us, these have been very successful years. 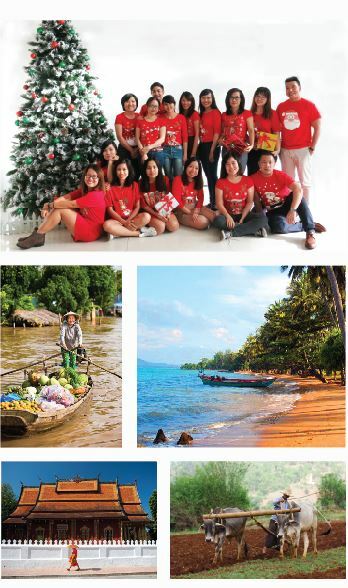 We’ve worked hard, constantly endeavoring to create and deliver more vivid and authentic experiences for travelers to Vietnam, Laos, Cambodia and Myanmar and to raise our service satisfaction significantly. We could not have achieved this without you. I would like to wish you and your families a peaceful holiday and a happy 2018. 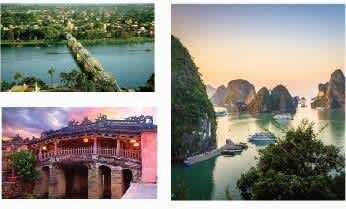 We are eagerly looking forward to providing even more inspiring, enriching and outstanding travel services across Vietnam, Cambodia, Laos and Myanmar in 2018. Vietjet will launch a new air route connecting Da Lat and Bangkok on December 18, 2017. There will be four return flights per week operating every Monday, Wednesday, Friday and Sunday. The flight lasts an hour and 45 minutes. 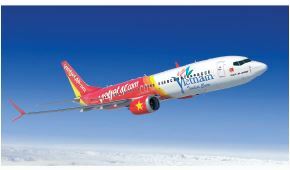 VietJet will also fly new routes from Saigon to Chiang Mai and Phuket from the 12th December. The flights will take about 2 hours. Saigon – Chiang Mai will operate Tuesday, Thurday, Friday, and Sunday while Saigon – Phuket will fly every Monday, Wednesday, Friday, and Sunday. VietJet aims to launch direct flights to California in 2019, starting with services to San Jose. 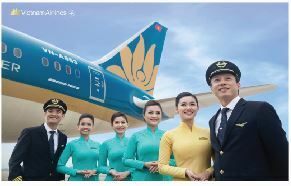 Vietnam Airlines will also open new routes to Los Angeles in late 2019 or early 2020. State-owned Myanmar National Airlines will operate a direct air-link between Angkor Wat and Bagan as the part of the Cambodia-Myanmar “two countries, one destination” campaign which will be implemented in April 2018. The co-operation agreement between VNA and LOT will give passengers preferential rates when buying tickets from the two companies. Under the agreement, passengers can buy tickets from VNA or LOT to make the journey between Ha Noi/HCM City and Warsaw, Poland via Paris, Frankfurt, Moscow and London. From Warsaw, passengers can continue their journey on LOT flights to many other Polish and European destinations. 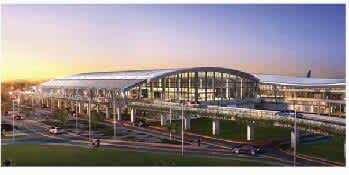 The Civil Aviation Administration of Vietnam (CAAV) is planning to expand Cat Bi Airport in Hai Phong, Hue’s Phu Bai Airport, and Chu Lai Airport near Hoi An by 2020. Four Seasons Hotels and Resorts, the world’s leading luxury hospitality company and BRG Group, the leading private multi-sector business group in Vietnam, will open a new Four Seasons hotel in the heart of Vietnam’s capital city. Located within the historic downtown part of the city, The Four Seasons Hotel Hanoi at Hoan Kiem Lake promises to offer luxurious hospitality in this charming city. Christmas is a time for families to make new memories together, yet the festival itself is often short-lived. 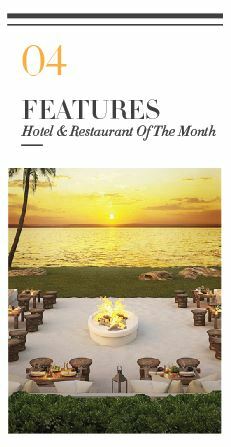 In this newsletter, Saffron Travel recommends some of our favorite activities and experiences to spend with your loved ones. If you are after an experience for the senses and prefer your trip to taste as good as it looks then follow us to discover Mandalay’s distinctive cuisine and traditional teashops. Explore the last royal capital of the Burmese Kingdom and its intriguing cuisines such as Shan noodles and Mandalay salad. Sip sweet, milky tea in local haunts and nibble mont pyar thalet, a crispy rice-flour pancake. 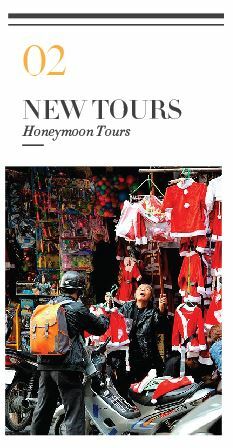 The tour starts with a classic rickshaw ride through Mandalay’s bustling neighbourhoods where you can experience the local food culture just as the city’s residents do. The tour is suitable for not only food lovers, but also couples and families alike. The Bamboo experience enables you to discover Lao culture through bamboo. 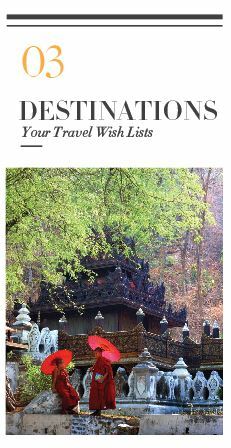 Take a ride back to the olden days and explore Lao traditional art & handicrafts, and one of the secrets of Lao cuisine. See the process of bamboo basket weaving and traditional Lao cooking using bamboo shoots as a main ingredient. 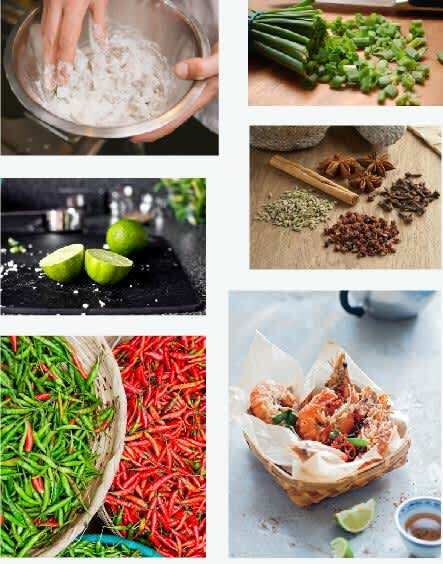 Learn how to weave, cut, and cook with this versatile material whilst immersing yourself in a rustic setting surrounded by rice fields and beautiful landscape. 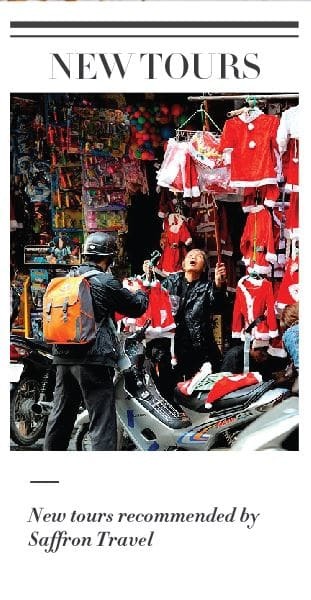 Recommended corners in Saigon and Siem Reap for Christmas and New Year celebrations. The Gin House serves possibly the best gin cocktails in town. This is a hidden bar in the central district of the city. The cocktails are excellent and the bartenders are very experienced and friendly. 50% off on all drinks from 5-8pm. Located in a 1960s apartment block, this is a great place to gather for a drink and a chat. 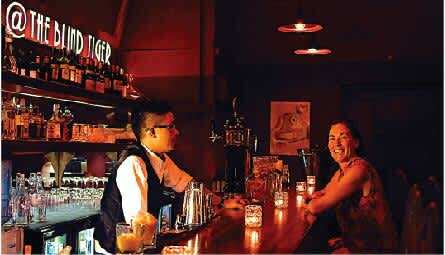 The music is laid back and cool and the whole place has a nostalgic old Saigon vibe. There’s a good wine selection, a great range of beers plus live music on Fridays, and regular talks on everything from architecture and history, to art. 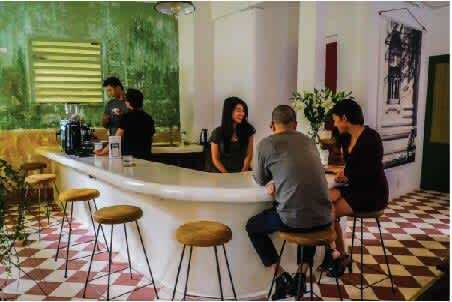 This is one of the newest bars in Saigon. The bar retains a sense of history and place and the cocktails are exquisite. Try the Licky Tiki Mai Tai, a chest-beating cocktail served in a chilled tiki vessel with a floating, burning sugar cube. 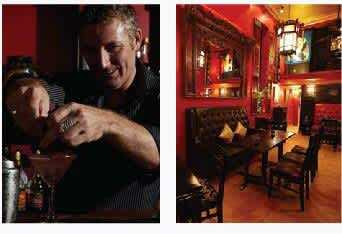 Miss Wong is one of the most atmospheric bars in Siem Reap. 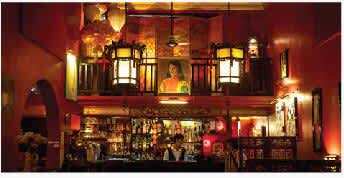 Besides good drinks, the decoration with red walls, lanterns, and striking paintings makes the place a good option for a nightcap. Peace Cafe is a pleasant vegetarian cafe on a shaded block in a traditional Khmer house by the river. The food is varied with great options for vegetarians. A lovely spot to unwind. They also provide yoga classes. 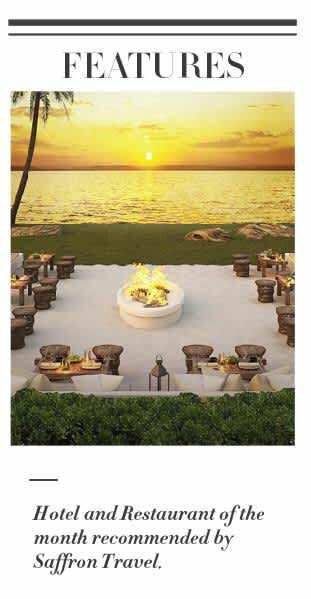 This luxury resort is located on the island paradise of Koh Rong, Cambodia just 30.6 km from Sihanoukville. Royal Sands Koh Rong features 67 rooms and private villas with world class service and superb views of the crystal clear ocean waters, white sandy beaches, and tropical habitat. Enjoy wonderful surroundings, sailing, snorkelling, and kayaking, or lie back and unwind with peaceful yoga and meditation sessions, relaxing massages, and luxurious spa treatments. 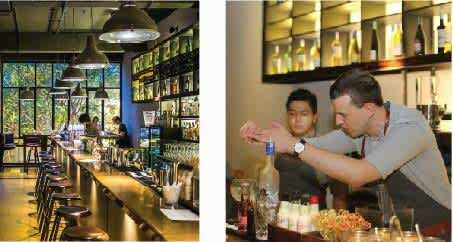 The Blind Tiger is a one-year veteran of the Yangon restaurant scene aiming to create an exclusive, speakeasy-like environment. Plush and sumptuous décor, towering ceilings and exposed brickwork, walls hung with fabulous artwork combined with friendly staff and warm décor make for a welcoming and relaxed atmosphere. 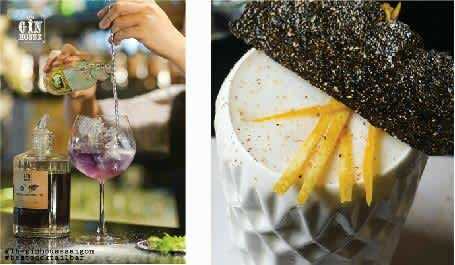 The Blind Tiger Yangon features some delicious cocktails and a mouth-watering menu of Asian fusion tapas. The mixologist is happy to chat about his cocktail recipes. We would recommend ‘Burma Strawberry’ a strawberry and chili infused vodka cocktail that is so sweet and refreshing. 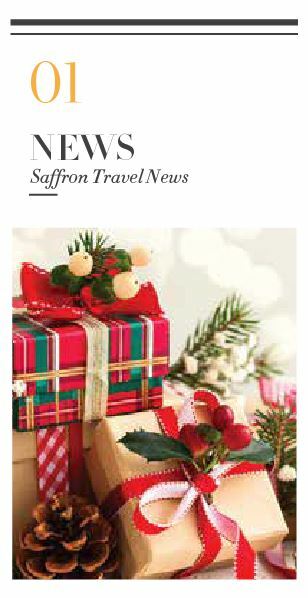 This Christmas, Saffron Travel recommends a light dish which is easily made and is a great option for family dinning. Add the oil to a large wok or deep frying pan and heat to 180 Celsius (350 F), or until a cube of bread drooped into the oil turns brown in 15 seconds. 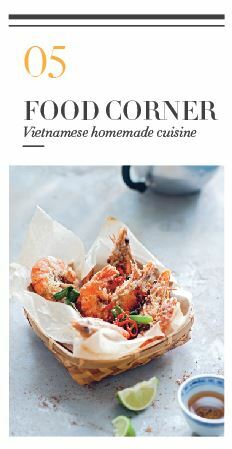 Dust the whole prawns with the corn flour. Add only two prawns at a time to the hot oil, to keep the oil at a constant high heat. 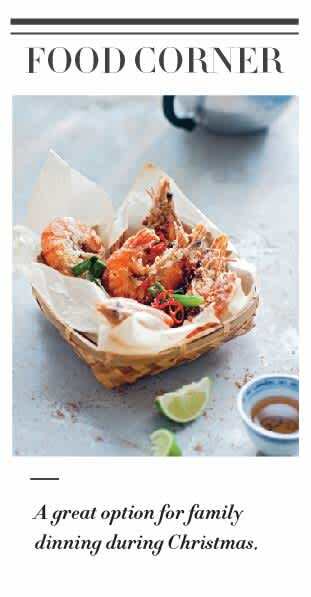 Cook for 2-3 minutes, then remove the prawns using mental tongs or a slotted spoon and drain on paper towels. Repeat with the remaining prawns. Bring a frying pan to medium heat. 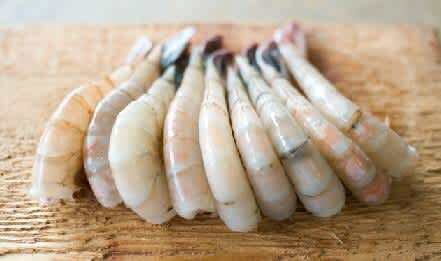 Add 2 teaspoons of the prawn cooking oil, then add the shallot, garlic, chili and spring onion and cook until fragrant.